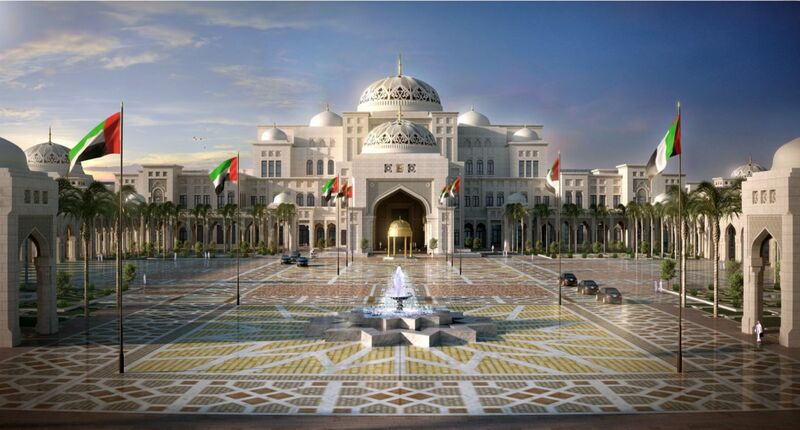 The new Presidential Palace in Abu Dhabi is a landmark project and helps to emphasize Abu Dhabi’s role as a leader within the UAE and the GCC. The Palace is utilized to house the offices of H.H. The President, H.H. The Vice President, H.H. The Crown Prince, and the Ministers. The facility will serves an important role as the primary governmental facility for receiving visiting dignitaries. The location of the new Presidential Palace is Ras al Akhdar peninsula adjacent to the Emirates Palace Hotel. The development encompasses approximately 150 hectares, and includes the Palace and the required ancillary buildings. 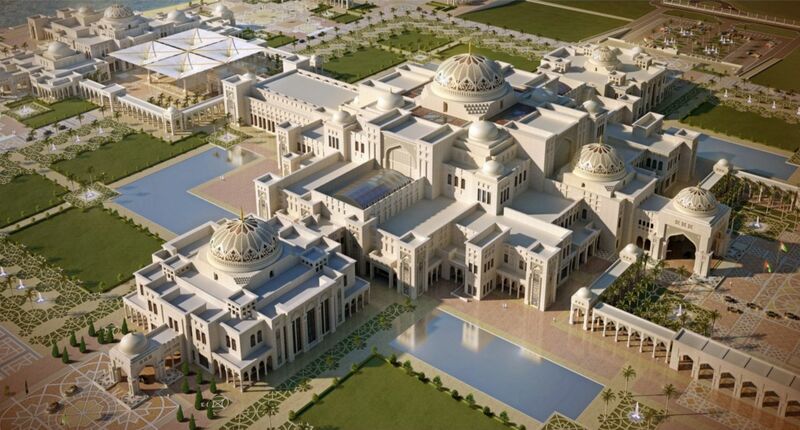 The Palace will exceeds 160000m2 of built area and contains several VIP wings, a Ministers wing, and several Majlis and Dining Halls. The Common Areas of the Palace utilizes an additional 5,614 square meters and includes a Main Entrance Hall, Main Hall, Fountain Courtyard, Media Hall, and a Press Center. The ancillary buildings, which incorporate over 23000m2, includes a Public Majlis, Mosque, Staff & Military Accommodations, a Services Compound, and various Gatehouses and Watchtowers.